sunflower seed oil planting equipment Application of sunflower seed oil deodorization plant / vegetable oil refinery equipment.This units Dewaxing process machine for sunflowerseed oil,Sunflowerseed oil dewaxing equipment,Sunflowerseed oil dewaxing equipment belongs to sunflower seed oil deodorization plant / vegetable oil refinery equipment, has all functions of large, small scale intermittent refining equipment, and better than them. 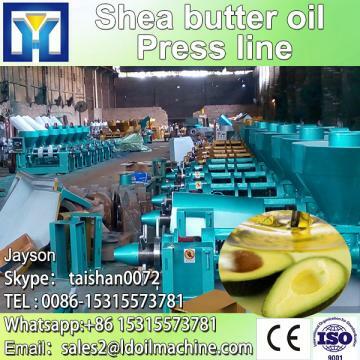 This equipment Dewaxing process machine for sunflowerseed oil,Sunflowerseed oil dewaxing equipment,Sunflowerseed oil dewaxing equipment can make high quality cooking oil or salad oil. This units complete set combined, selfprepare heat source, gas source, electrics control. Light weight, save electricity , convenient use.This sunflower seed oil deodorization plant / vegetable oil refinery equipment do not need special basis, either indoor or outdoor is OK, just need to make up power source, water, prepare coal, alkali, Pacid, active clay, edible salt and other material. time(technical security), and make waxy formed bigger crystallization, then separation exhalation,after filtering, it separates the fluid oil and solid fat. After fractionation, the oil will be clean after 5.5 hours in 0 â, but it also can keep the transparency and flow ability in the refrigerator and improve the oil quality and appearance. After finish degumming process about Dewaxing process machine for sunflowerseed oil,Sunflowerseed oil dewaxing equipment,Sunflowerseed oil dewaxing equipment, at once add into lye carrying alkali refining deacid, lye concentration 16 ° Be ′, super alkali is 0.1to0.3% oil weight, after finish adding, continuous stirring 30min, when soap particles accumulated condensing, should reduce stirring speed, 30r/min avoid emulsion. After adding alkali, gradually rising temp to the end temp 65 ° C, see to that the rising temp speed should control at 1 degree per minute, not too fast. Shut off neutral pot drive part, theoil settled in the pot 6-8 hours, make oilseparate from soap.